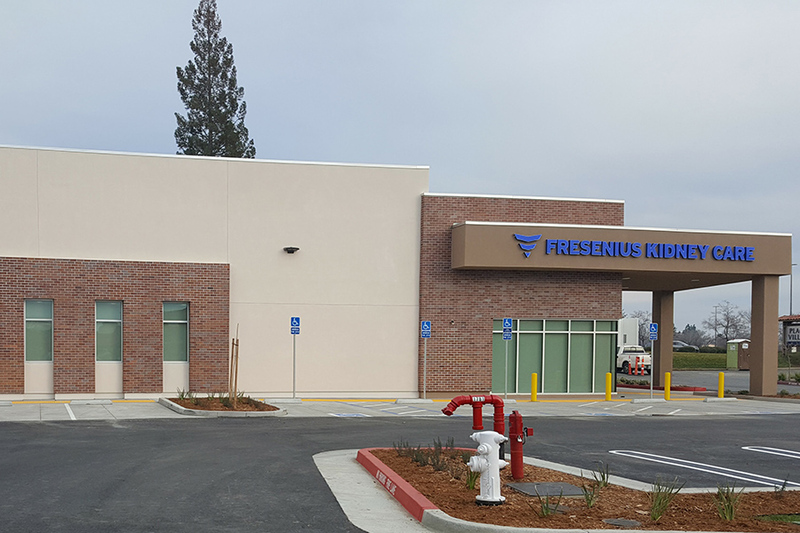 Fresenius Medical Office Roseville is a newly constructed 7,200 sq. ft. building leased to Fresenius Medical Care, the worlds largest integrated provider of products and services for individuals undergoing dialysis due to chronic kidney failure. Fresenius is a $20 billion worldwide company with over 85,000 employees and a network of 3,200 dialysis clinics in North America, Europe, Latin America, Asia-Pacific, and Africa. The medical office facility located approximately two miles from the Sutter Roseville Medical Center, a 328-bed acute-care medical facility and less than one mile from Kaiser Permanente Roseville Medical Center, a general medica and surgical hospital with 340-beds. The medical office building is located just off interstate 80 in Roseville, which allows for excellent visibility and access.